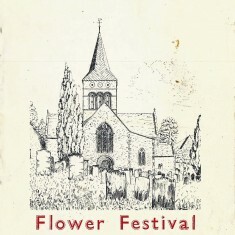 The cover of the 1967 Floral Festival. 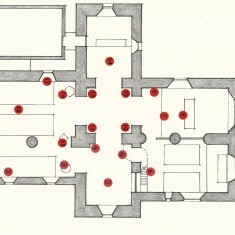 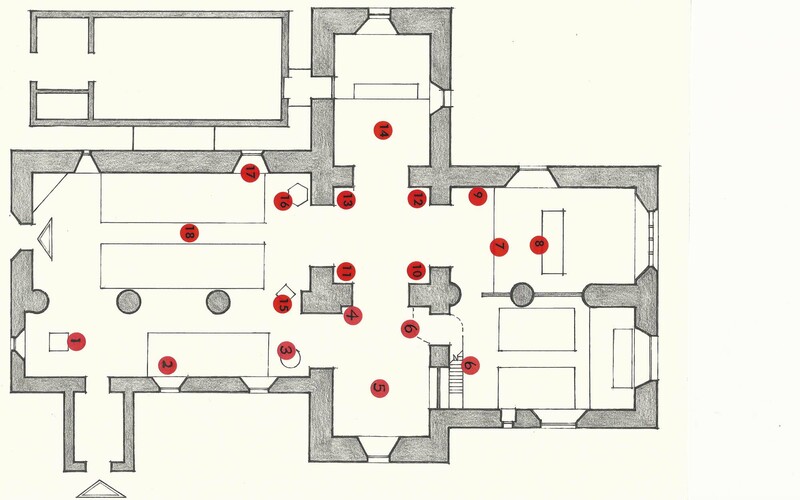 Plan of church, shoing positions of arrangements. 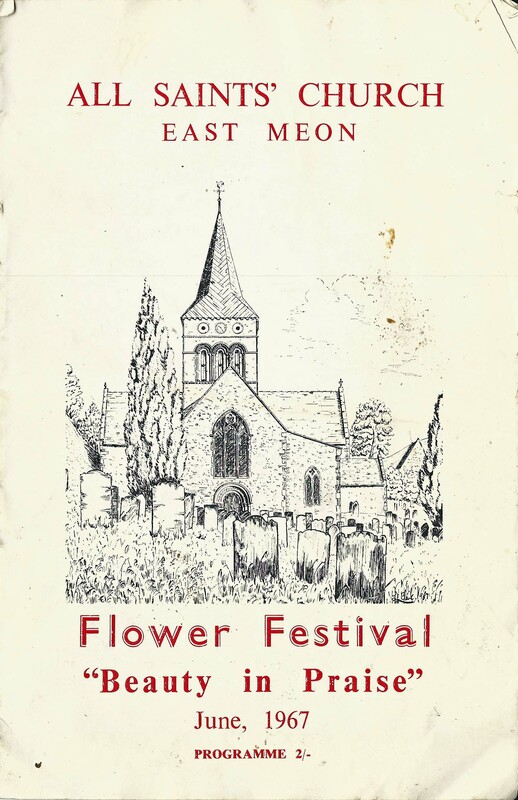 We have records of three Flower Festivals organised by and on behalf of All Saints Church, Of the first, held in 1967, the programme is attached as a PDF. 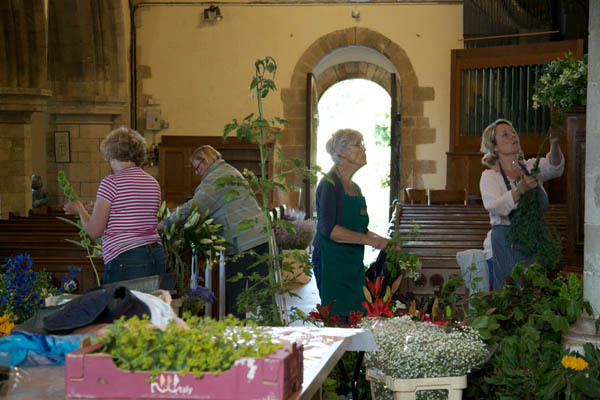 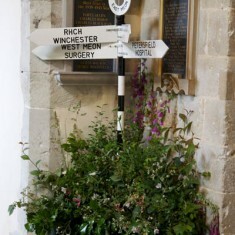 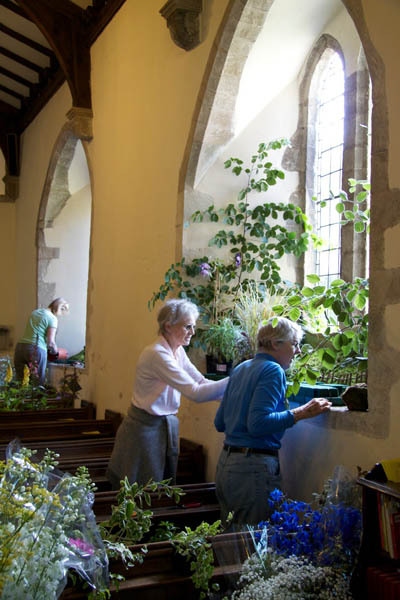 This festival was organised with the help of Liphook Floral Decoration Society and half the profits were donated to the Portsmout Cathedral Completion Fund. 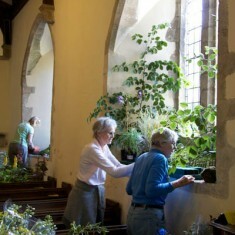 The second was held in 1988 and a PDF of its programme is also attached as a PDF. 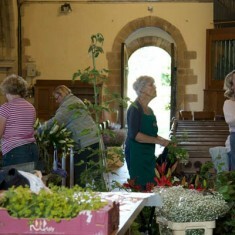 In June 2012 three days of displays, events and performances were held, organised by a committee headed by Clare Bartlett. 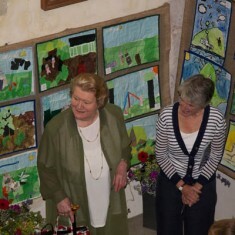 The actress Patricia Routledge opened the proceedings. 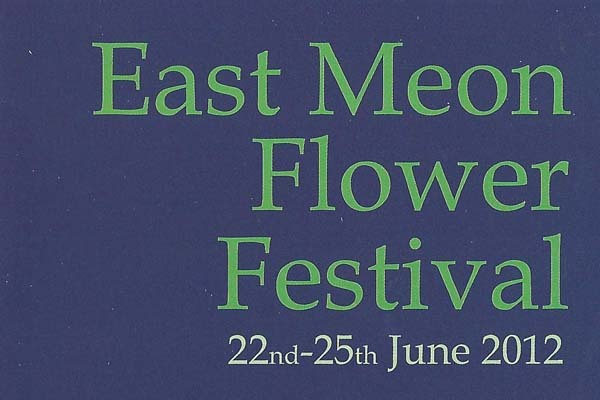 East Meon resident Gillian Williams supervised the publication of the programme and leaflet, designed by Zoe Kay of ArtBypass. 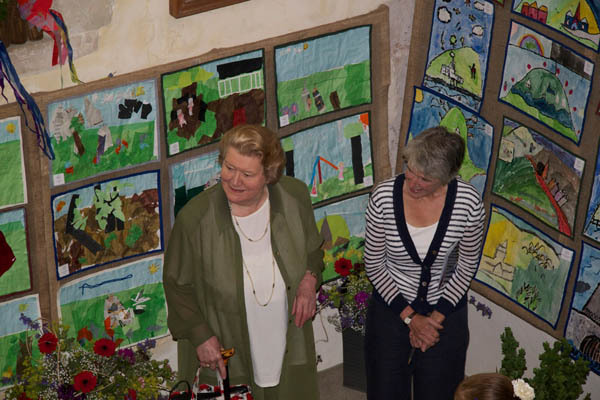 A double page spread in Meon Matters featured illustrations of the Festival. 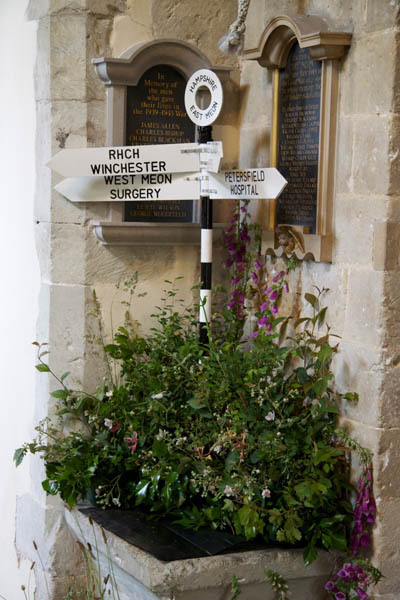 For the account in the East Meon History website, click here.